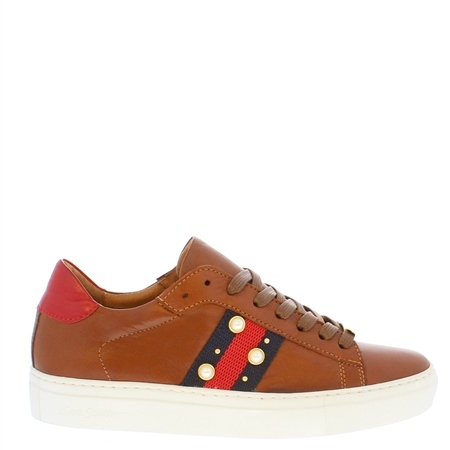 The Davina tan leather trainers are a a great addition to your weekend wardrobe. Featuring red and navy stripes along the sides with gogeous pearl detailing, style them out with jeans or a midi dress. Available in White, Red, Navy and Black.